The 34-hp Tier 4 Final DV26CD combi gives contractors the double-threat of a machine with the compacting power of a vibratory roller and the asphalt finishing ability of a pneumatic roller. Together with its no-overhang frame and maneuverable design, it's an ideal fit for walkways or bike paths, driveways, small parking lots or any application where the efficiency of a single machine is preferred. 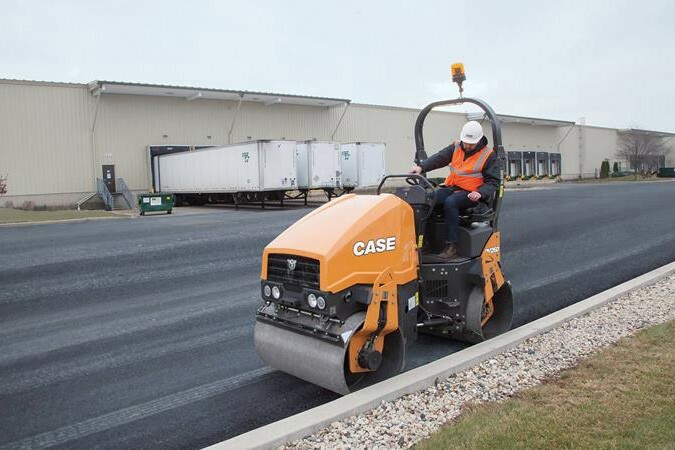 And like all CASE D Series rollers, this 2.6-ton model comes standard with dual frequency, auto vibration control, a pressurized water system and a no-hassle emissions solution.